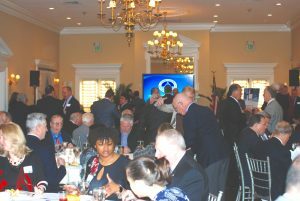 The LIWC Legislative Breakfast held on March 9, 2018 was a packed house, with standing room only for several dozen late arriving attendees. The NSWCA was well represented with commissioners from virtually all Districts and many District Superintendents in attendance. 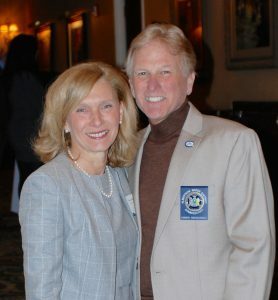 After welcoming remarks by Chuck Savinetti, Chairman of the LI Water Conference and Locust Valley Water District Superintendent, and legislative agenda remarks by Port Washington Water District Superintendent Paul Granger, Keynote speaker NYS Senator Elaine Phillips gave her views on matters of vital importance to loud applause. The opening and primary topic of the day was funding, including discussion of Drinking water infrastructure funding, as well as funding for NYS Department of Environmental Conservation (NYSDEC) Region 1 Water Division, and NYS Department of Health (NYSDOH) Bureau of Water Supply Protection. Other important topics discussed were monitoring well registration and water quality data sharing, clarification of the NYS Superfund law to financially protect public water ratepayers, and clarification of the One Call Notification System law. 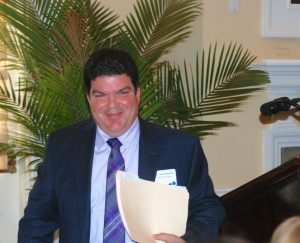 Joe Roccaro, from Suffolk County Water Authority narrated a detailed discussion on 1,4-Dioxane followed by a lively Q&A session. 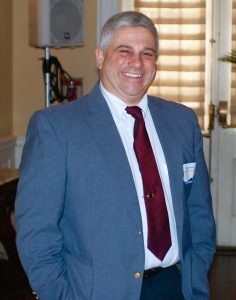 NSWCA President and Westbury Water Commissioner Vin Abbatiello, provided closing remarks and quips as he expressed appreciation for the meeting’s outstanding attendance.